In the video below, a group of thrill-seeking skydivers jump from thousands of feet in the air, looking like a smack of luminescent jellyfish Power Rangers flying through the night sky. Among the group is Envoy First Officer Thomas Johnston, who, along with his team, owns the world record for a 33-person large formation night jump. 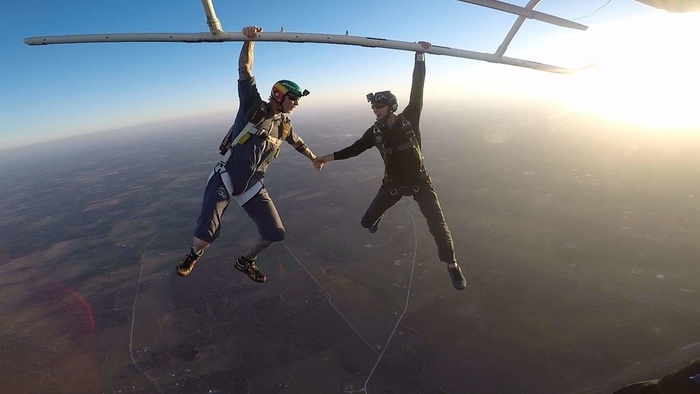 Thomas’ fascination with skydiving started at 19 years old and his love of aviation from as young as two. Growing up in a family of aviators, it’s not surprising that Thomas picked a career as a commercial pilot. 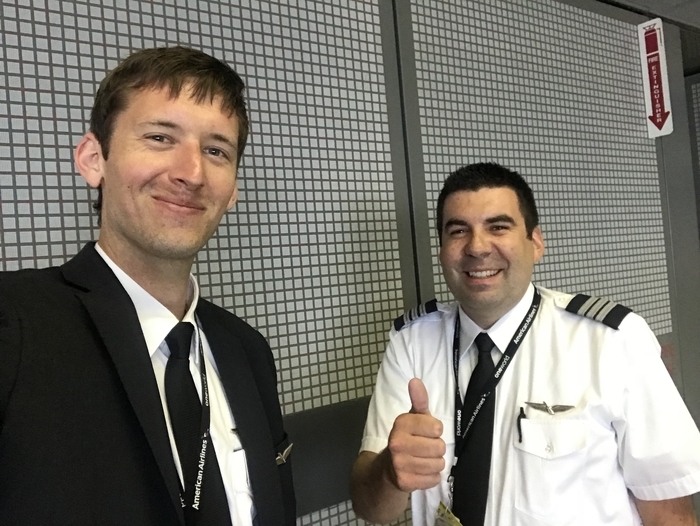 Read along as Thomas explains his love for aviation, the “adrenaline rush” and the special friendships he’s made in the sky. What came first, you wanting to be a pilot or a skydiver? Being a pilot came first, because I started flying when I was very young – 2 or 3 years old. I come from a family of pilots – my great uncle flew B-24s in WWII; and my dad, a handful of cousins, and my uncle were also pilots. Primarily it was my uncle George who taught me to fly. He was a former Navy P-3 pilot who flew for Eastern Airlines for 17 years. 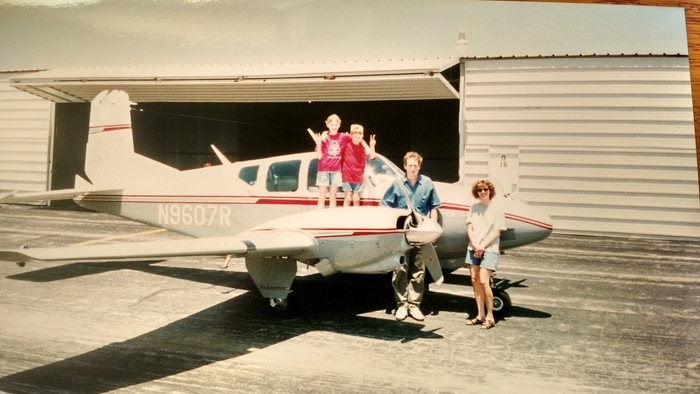 My dad and he had a grass runway and a Cessna 182 at our farm in Illinois, and I would fly with my uncle just about every evening in the summer. I made my first unassisted takeoff and landing at 9 – sitting on couch cushions so I could see over the nose. I got into skydiving when I turned 19. I had two cousins that were skydivers, and I always looked up to them. We had an annual fly-in at the farm every year, and my uncle would fly them up and they would jump in. I didn’t know it then, but that ended up being my foot in the door to participating in skydiving world records. After many years of training, I earned a spot on the Vertical Elite world record skydiving team. 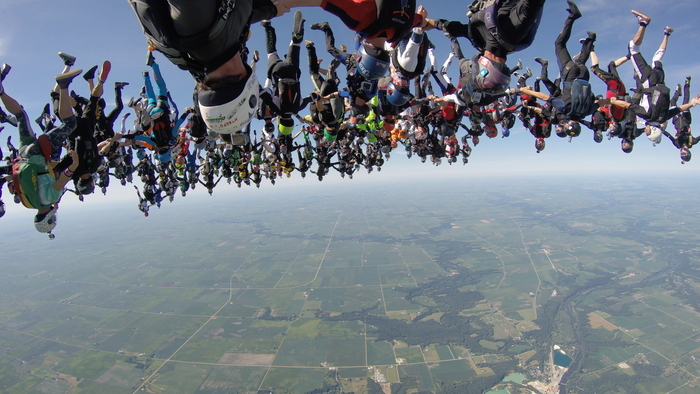 Since then, I have been a part of six different large formation skydiving world records. What about aviation excites you as a pilot? I’ve been doing it for so long that it’s just a part of who I am. I think above all, I enjoyed the journey to get here and the adventures and memories that went along with it. From student pilot to private, instrument, flight instructing, flying skydivers and then to Envoy – it’s been a really fun experience building my way up to where I am now. Now that I’m at Envoy, every day is a new adventure of its own. Initially it was the excitement and the adrenaline rush that drew me to the sport. I think the best part now is the people I get to meet. Getting to jump with people from all different backgrounds is an adventure, and these adventures make unbreakable bonds. Some of my best friends in the world are skydivers, and I wouldn’t have gotten to meet them unless the sport brought us together. Do you still get the same thrill you did from day one? In the beginning, it was for the excitement of stepping into the unknown and the adrenaline rush that comes from doing it. After a handful of jumps, the adrenaline wears off and there are other reasons that keep me around. Mostly it’s for the feeling of flying in the sky. From an outsider’s perspective, it looks like we are just falling. But in relation to the person I am jumping with, I am also flying – I can move my body to deflect the air to push my body to go up, down, and across the sky in relation to the other person. First Officer Thomas Johnston, left, with fellow First Officer Tony Sabos. What were the main reasons you chose to fly for Envoy? One of the best things about working at Envoy is the ability to have a work-life balance and schedule flexibility. Having a schedule with chunks of time where I can work, and chunks of time where I can travel is priceless. It enables a lifestyle that is almost impossible to have with a typical Monday-to-Friday job. 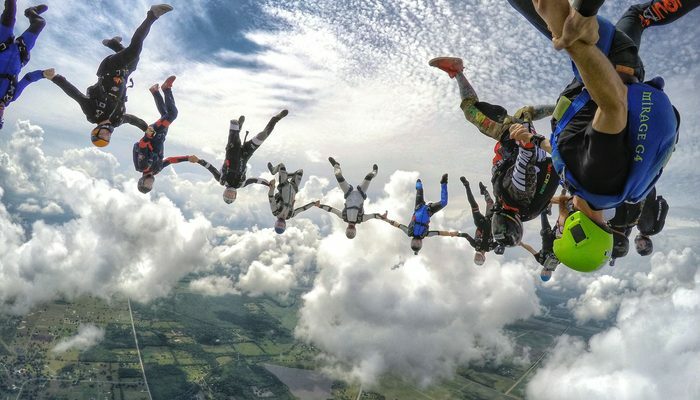 What does your family think of your skydiving escapades? My mom and Dad are usually quiet but supportive. I like to call it Type 2 supportive. For instance, when we are doing these world record attempts, it definitely makes them nervous. They definitely don’t push me to do it, but they are quietly supportive. They don’t really say much about it because they are worried about me. But as soon as we set a new world record, my mom is the first one to go home and brag to all of her friends about me. What records have you and your team broken? Every couple of years we try and break our previous world records. This summer we are going for a 200-person head down formation.